There are two kinds of travelers, tourists and non-tourists. Tourists go places. They arrive someplace new and do what they want, oblivious to the culture and customs of the destination. Non-tourists arrive expectantly, longing to know more of the world, desiring change deep within. So many people. I didn’t understand the difference before our trip to China. After all, beaches along the U.S. coast cater to tourists, offering all the comforts and convenience of home. Amusement parks, playgrounds for adults, exist to entertain, not to change us. It’s major trips, the small town girl’s first trip to the big city, the southern belle’s first trip north, or an American’s first trip abroad, that provide opportunities to grow and change. If we allow it. Enjoy these, my favorite “everyday life” photos from our China trip… and the lessons I learned. no benches or lawn chairs required. I find myself to be lazier than I wish to be. 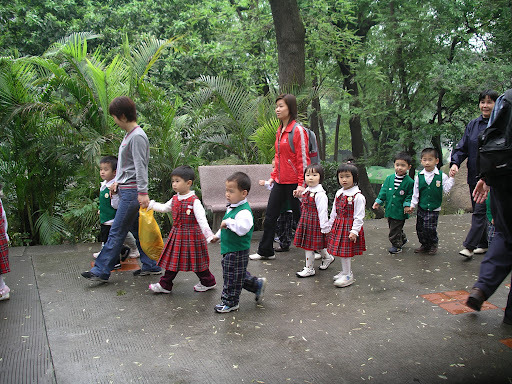 Cute kids on a field trip to the zoo. I discover that the world’s not that big after all. 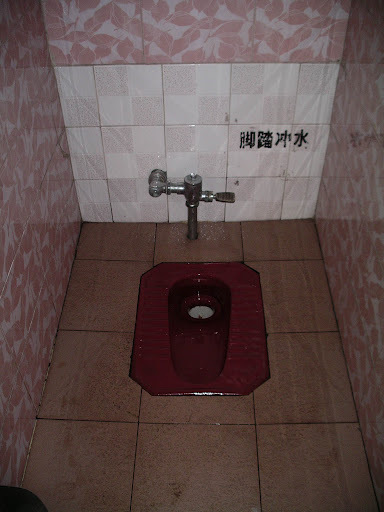 Yes, the squatty potties in China are real. There are no doors for privacy and no sinks for hand washing either. 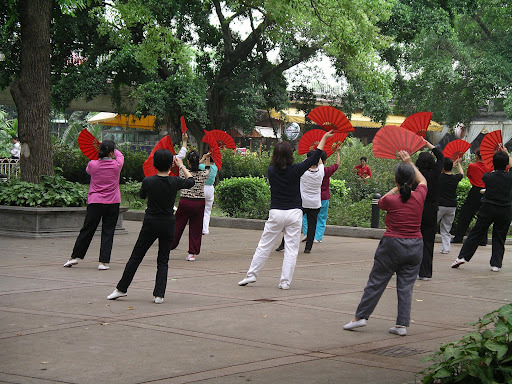 Exercise in the parks, something that happens in cities throughout China. I spend so little time visiting parks at home. Traveling, whether across the world or across town, offers us a chance to learn more about the world and ourselves. Slow down. Look at the world around you. What do you see? Join me at Budget Travelers Sandbox for Travel Photo Thursday… we’re both in Asia this week! Beautiful shots. We would be good travel companions as I also like the everyday of somewhere else. What great photos! I especially love the one of the exercise int he park – you are right, we don't visit enough parks in the uS. Karen… wow China! I never thought I would ever go, thank you for taking me with you! Grace, peace and blessings, Carla. Great photos. I really like the ones of the kids at the zoo. Reminds me of my sons class when they are out on field trips together. love these. I feel like I just got a great little lesson in Chinese culture. Thanks! Great photos. I wish I had a camera that could do all those things! Following you from VoiceBoks! Squatty potties? I never knew these still existed in this day and age. I like the exercise in the park. Just watching them relaxes me already. squatting toilets scare me! I actually got peed on once when we were in Beijing!! never again- I'll hold it! My digital camera was so basic — the cheapest we could get — and it froze up, big time! The lens cover wouldn't open an hour before we met our daughter. I prayed like crazy for it to fix itself! I love seeing children when I travel. They really are the same all over the world! I'm amazed at the number of bike riders in other countries. Yes we are privileged and maybe a little lazy too! what lovely photos! that looks really lovely. i love that you captured the bits of everyday life, that's what really intriques me the most. I actually like to sit the way those men are pictured. Unfortunately, my knees don't like it too much these days. I think I vacillate between tourist and non-tourist. I usually arrive with my checklist of places to visit but try to take time to just observe local life as well. Your lovely shots capture everyday life. A great cross section of shots for China. I found when traveling there…so many similarities with other Asian countries, but oh the differences, they are vast!